+$Tackle mobile development for Apple's latest operating system. +$Owners of Apple devices rush to update their iPhones and iPads as soon as a new version of iOS is available. You can be ready to launch your apps alongside the update by learning how to develop for Apple's mobile platform with the Complete iOS 11 Developer Course.+$Grab It Now+$and start building your developer career – plus save an additional 11% when you use the coupon code IOS11 at checkout! +$Every version of iOS brings new and game-changing features that developers love to put to use. 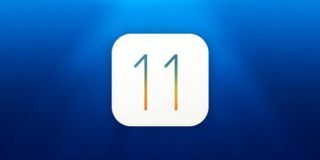 iOS 11 will be no different, and you can ready yourself to make the most of the update by grabbing the Complete iOS 11 Developer Course. In addition to preparing you for the latest version of iOS, you can also brush up the fundamentals of the operating system with the iOS Mastery Bundle, a collection of courses that will lay the foundation for building on Apple's platforms. +$You can get the Complete iOS 11 Developer Course and iOS Mastery Bundle+$on sale now for 97% off the retail price+$. This pre-sale will give you access to the iOS 11 course as soon as it's available, and immediate access to the iOS Mastery Bundle. Plus, you can take another 11% off when you use the coupon code IOS11 at checkout!